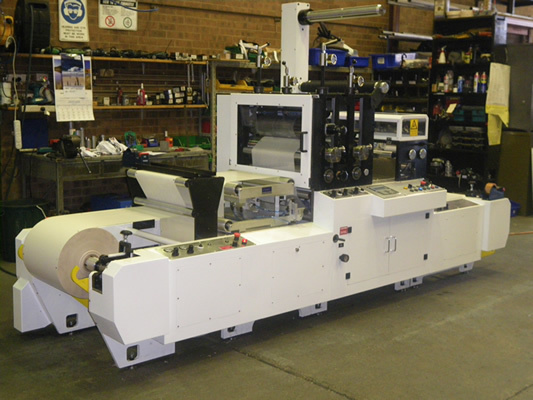 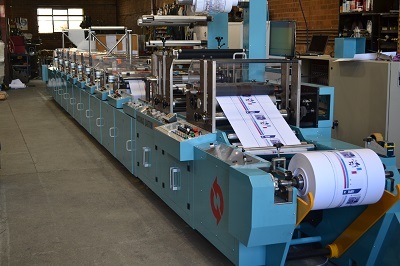 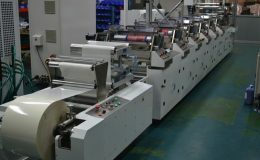 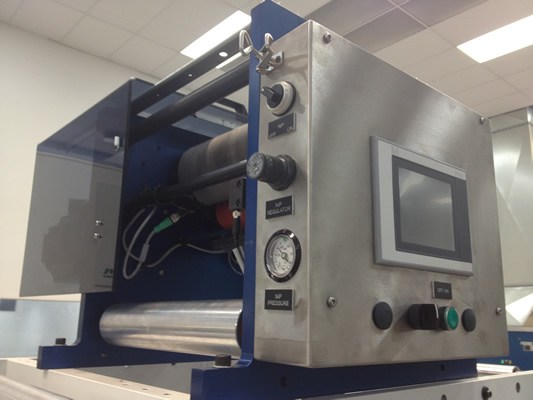 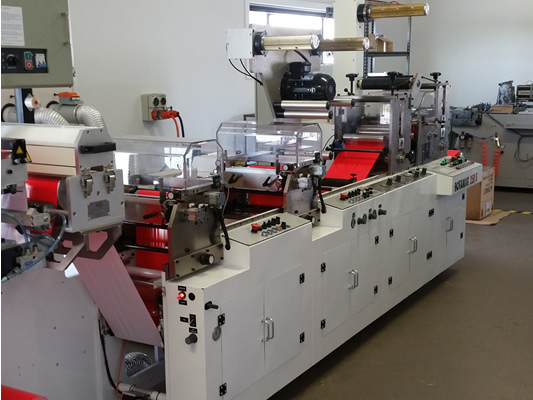 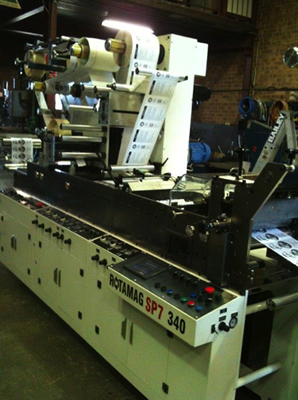 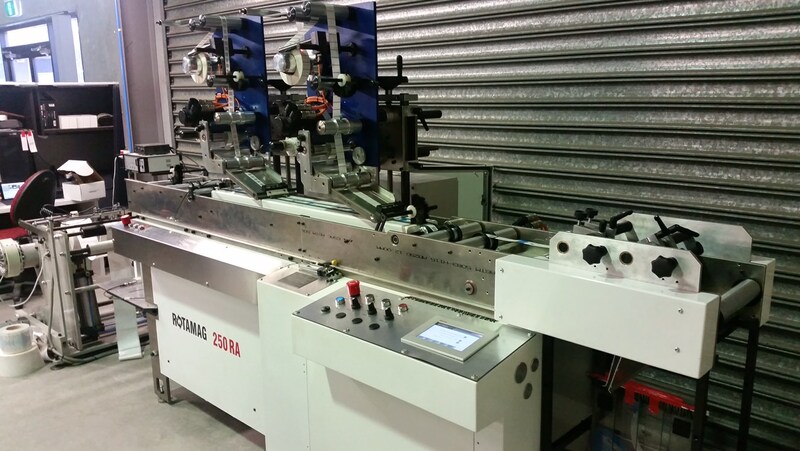 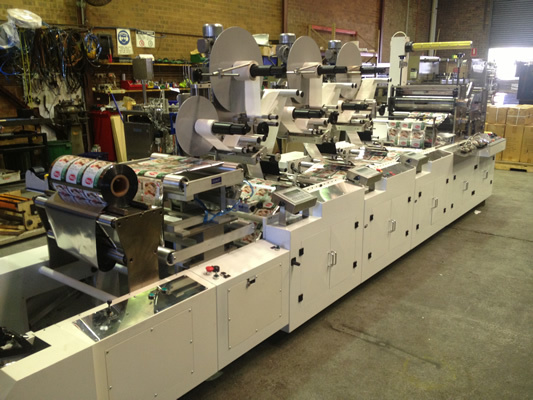 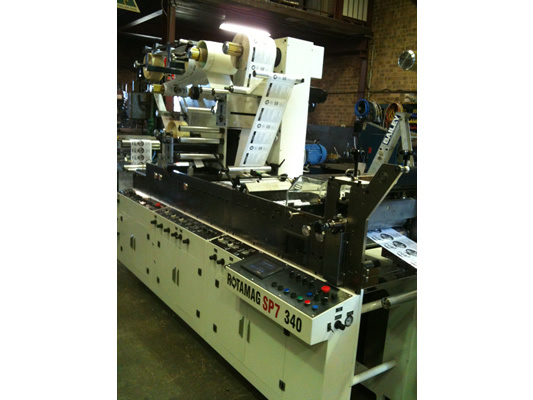 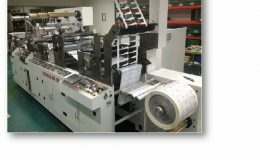 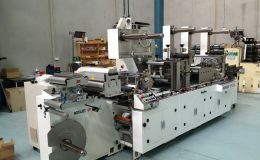 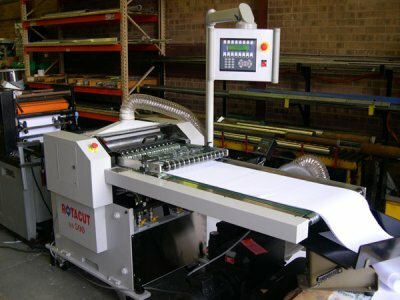 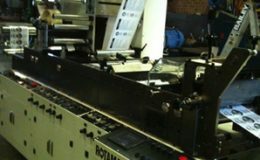 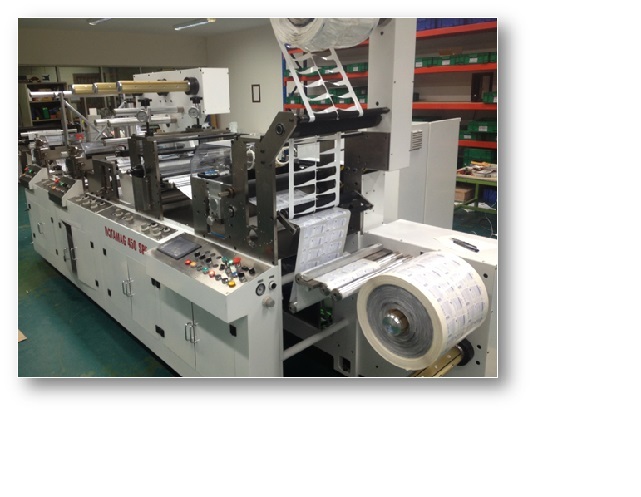 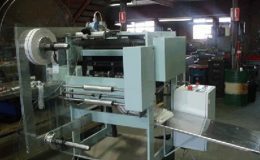 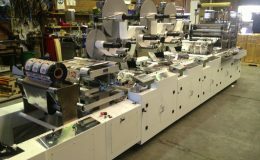 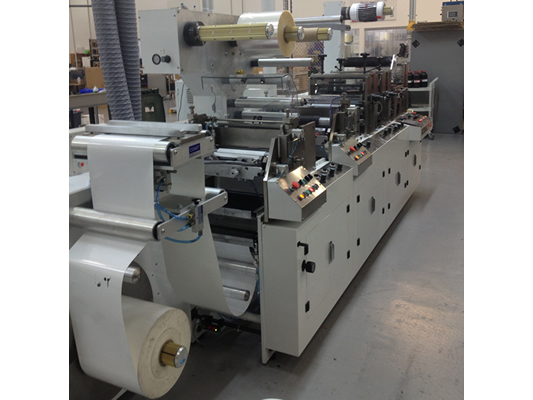 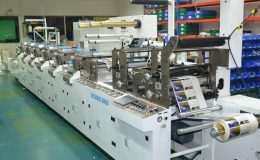 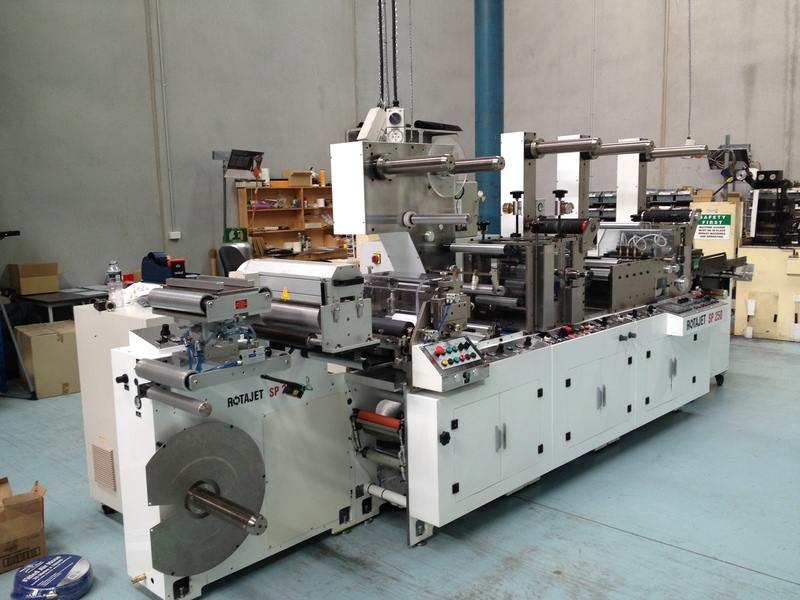 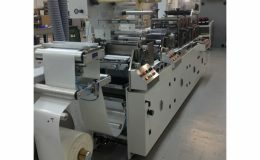 Digital Converter with (1) servo driven flexo unit over laminating unit.UNWIND UNIT. 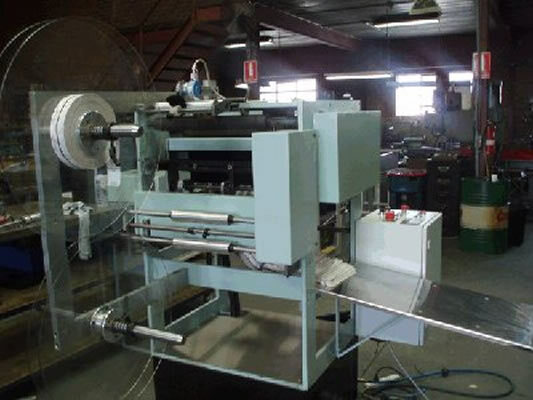 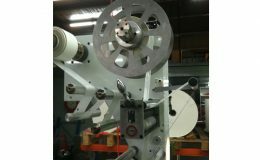 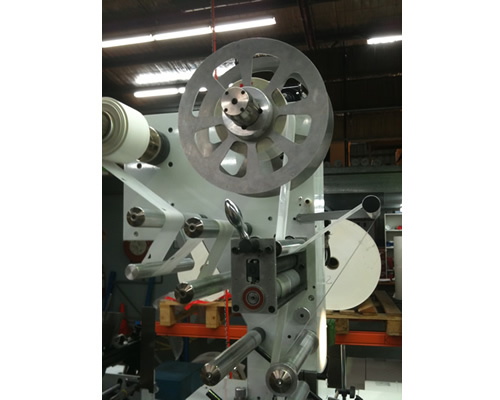 The reel unwind has reel capacity of 700 mm diameter. 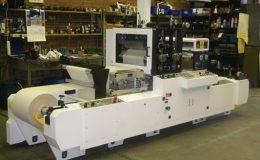 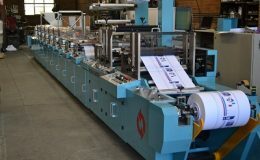 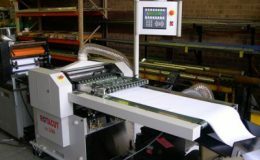 The unwind has ONE Electronic web guide, complete with web joining table and clamps, Heavy duty electronic pneumatic brake with taper tension control with adjustment though touch screen, Reel mounter on air expanding 76mm air shaft .Provision for optional corona treater OR Optional back cut unit . 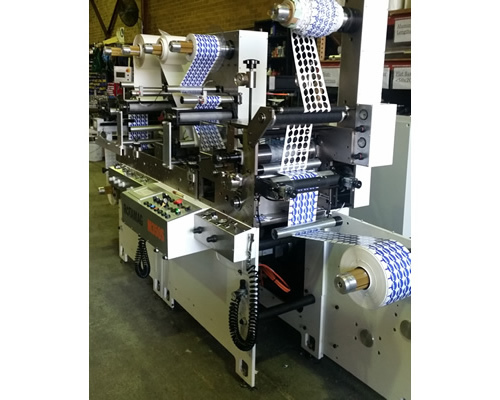 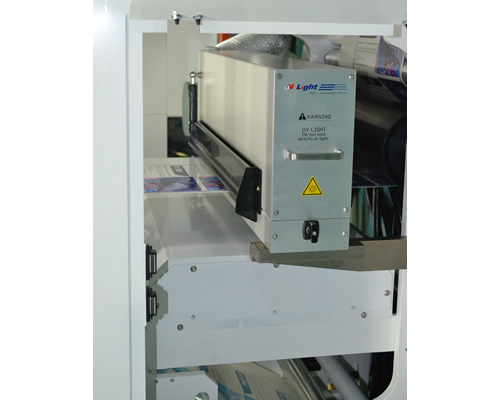 (1) –servo controlled web tension unit tension control via touch screen.Semi rotary die cutting unit 18 ‘’ circumference magnetic cylinder servo driven with material indexing rollers with eye mark reader for precise die cutting position to print register. 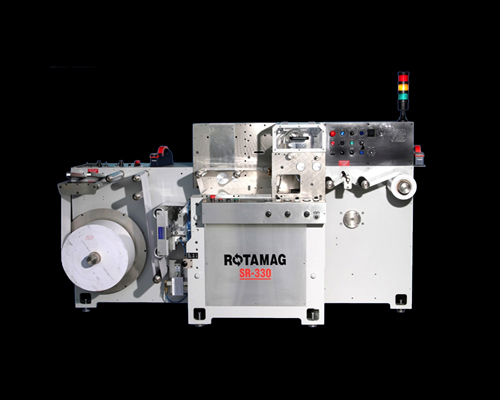 The die unit can also run at full rotary for higher speeds. 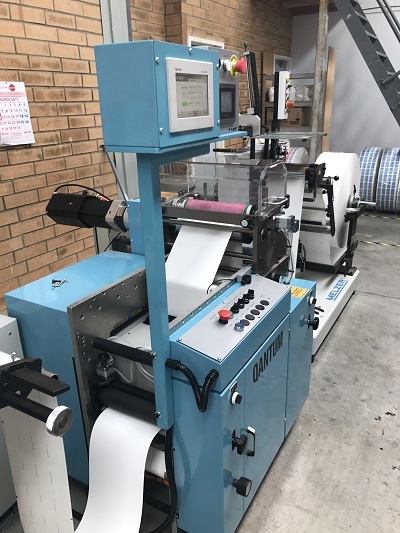 (1) matrics waste stripping tower with clutch control stripping tower and waste rewind 76mm air expanding shaft operated via switch. 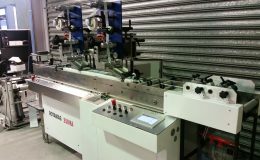 (1) – Scissor cut male and female knives unit with pneumatic on/ off supplied with (4) Off male and female knives .Optional crush cut and razor. 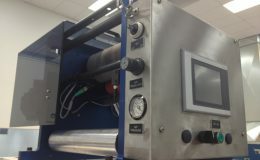 (1) Out feed nip operated via switch. 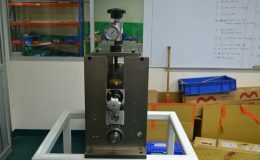 (1) Servo driven rewind with standard 76mm air expanding shaft. 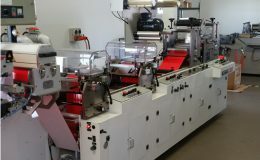 Machine operated with touch screen and main console with auto stop pre-set counter and all functions. 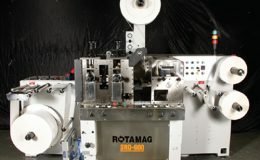 Machine speeds when running semi rotary maximum 50 mpm when running full rotary 120 mpm. 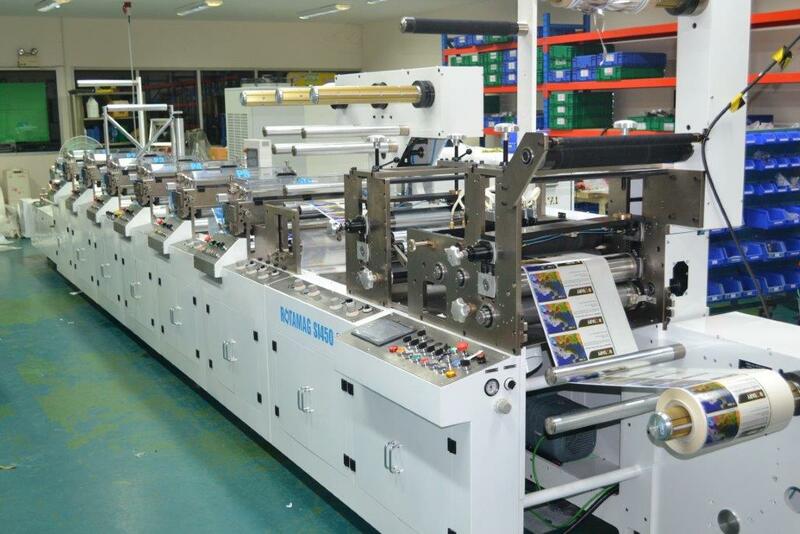 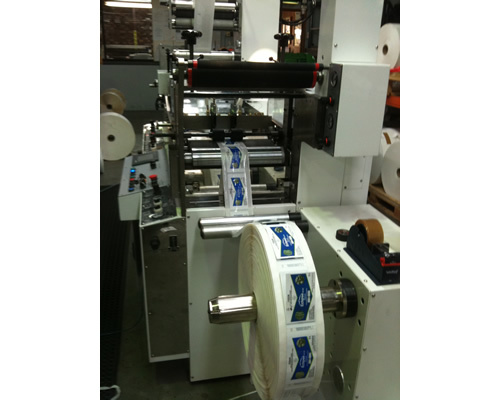 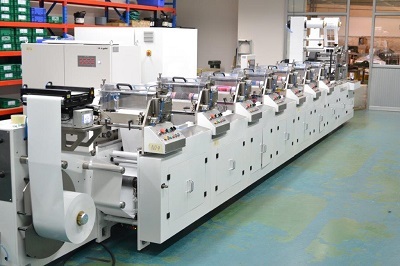 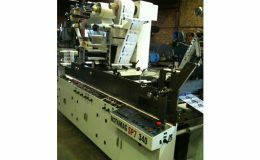 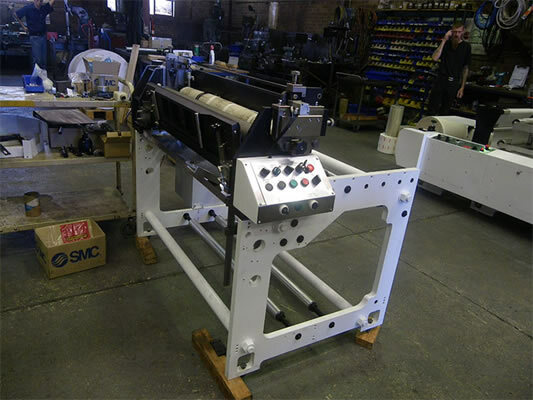 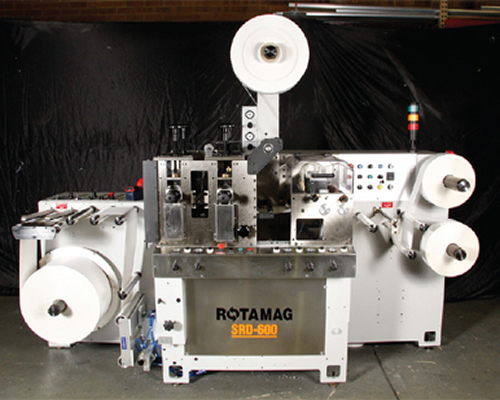 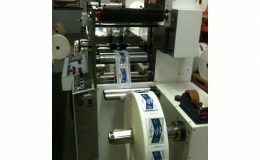 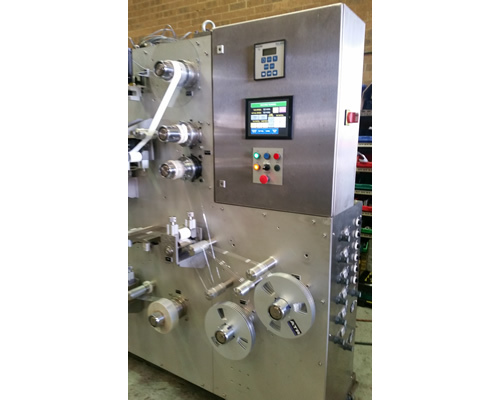 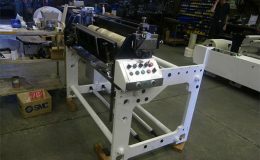 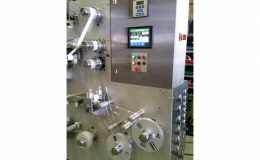 This machine also can be used as slitter rewinder multi-purpose machine. 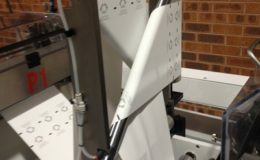 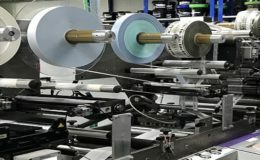 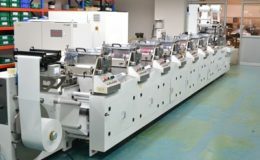 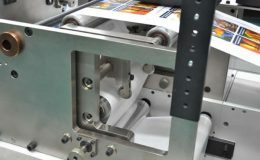 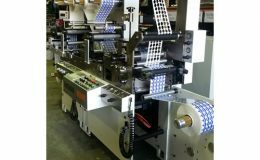 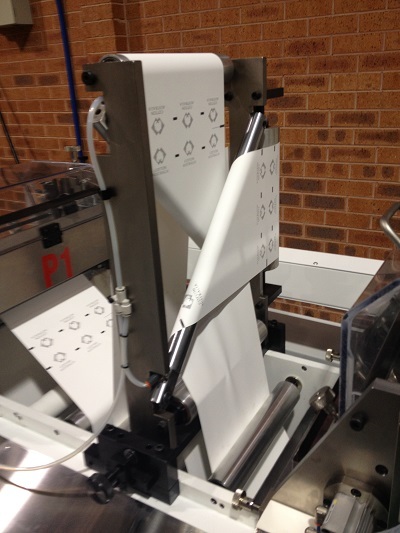 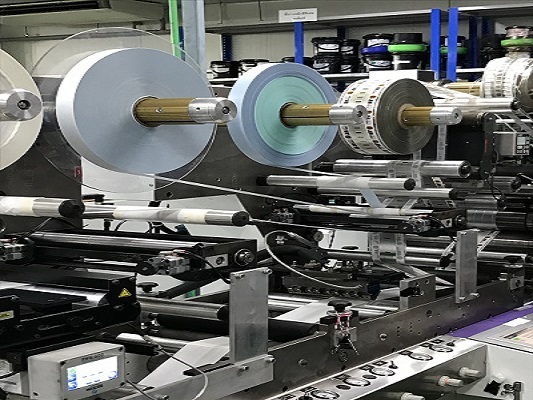 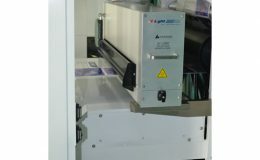 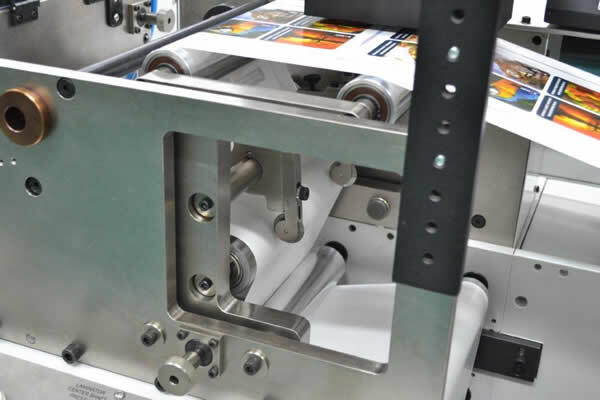 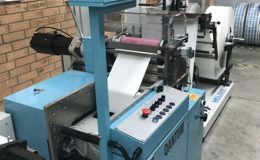 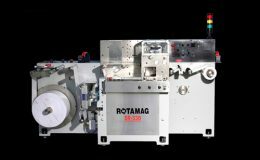 The digital finishing machine can have quantum flexo units for coating or over printing into register up to 3 units with UV, IR or both installed at later date if ever required.